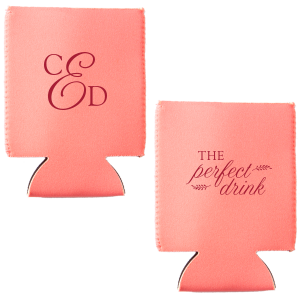 Keep your party drinks cold with For Your Party’s personalized bachelor and bachelorette party flat can coolers! 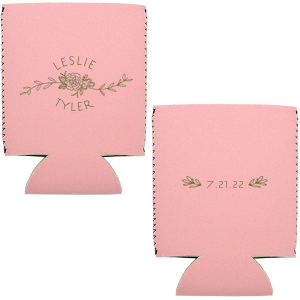 Find a design that fits your theme from our curated galleries of ideas, or upload your own design! 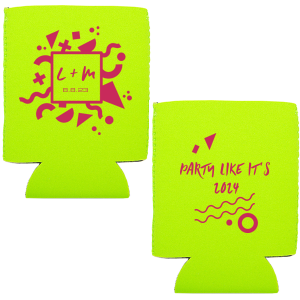 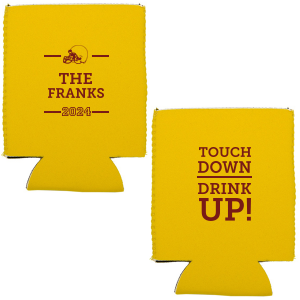 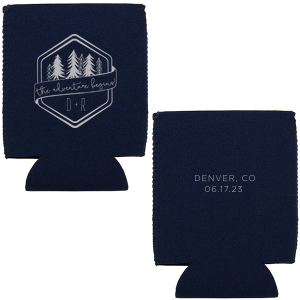 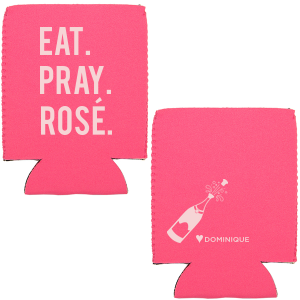 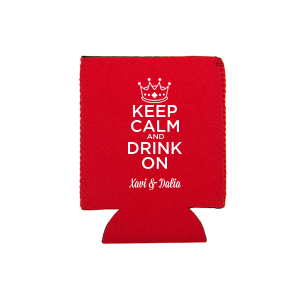 These koozies are just what you need for weekend celebrations and beyond. 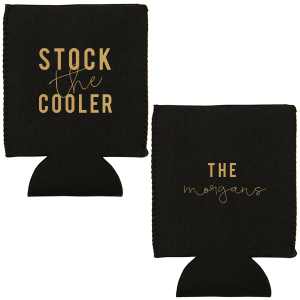 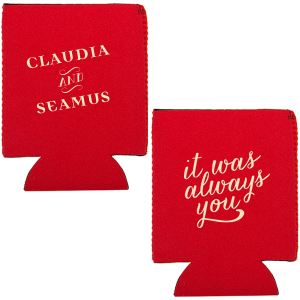 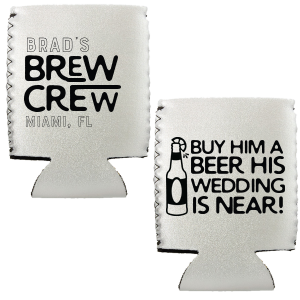 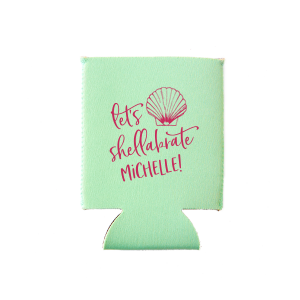 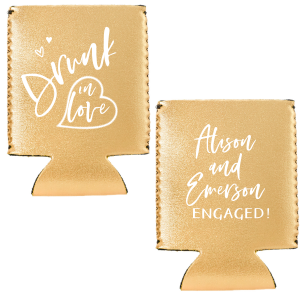 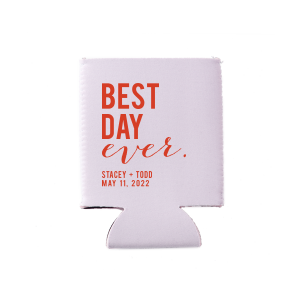 Take your bachelor and bachelorette party to the next level with personalized flat can coolers from For Your Party! 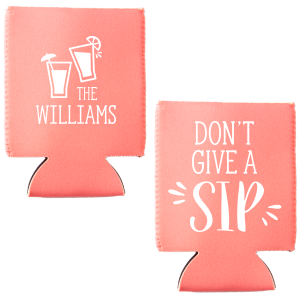 Create your customized bachelor and bachelorette party flat can coolers by browsing the curated library of ideas and choose a color that complements your theme, or upload your own design for ultimate personalization. Your party guests will appreciate their extra cold drinks as they enjoy using their personalized bachelor and bachelorette flat can coolers. 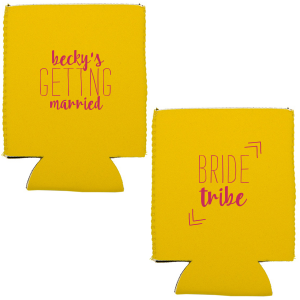 Choose a classic “congrats!” design or opt for “bride tribe!” or “team groom” to create customized bachelor and bachelorette party flat can coolers that will be used for years to come. 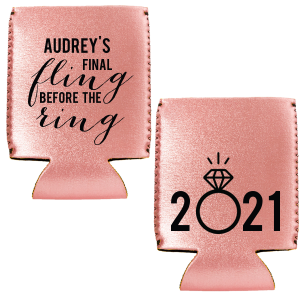 Personalize both sides of your bachelor and bachelorette flat can coolers to add the names of the soon-to-be bride and groom. 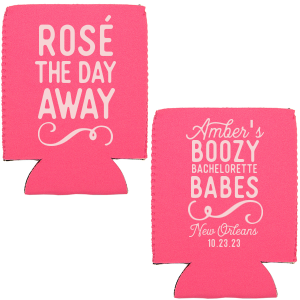 Create your custom designed bachelor and bachelorette party flat can coolers today!